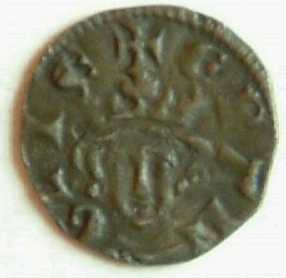 Medieval English Hammered Farthings - Known Counterfeits. A fraudulent imitation or facsimile. 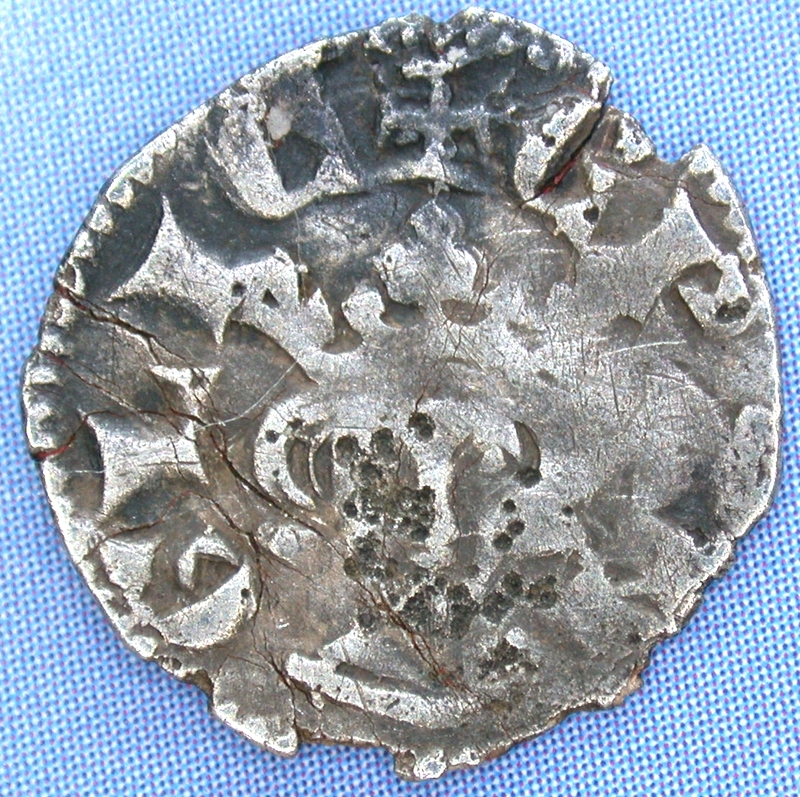 Until modern times there were very few counterfeit hammered silver farthings. Their low transaction value meant that forgers risked severe punishment for low returns - it was far more attractive to counterfeit pennies (same risk and four times the return). 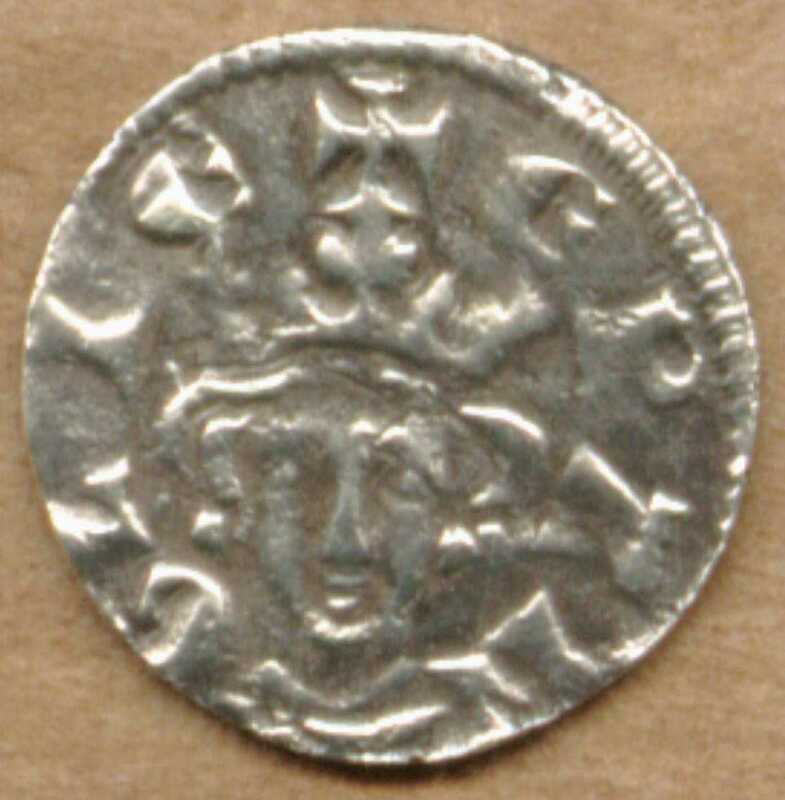 So, for much the same reason as farthings do not appear in hoards of coins, their low value made them unattractive. 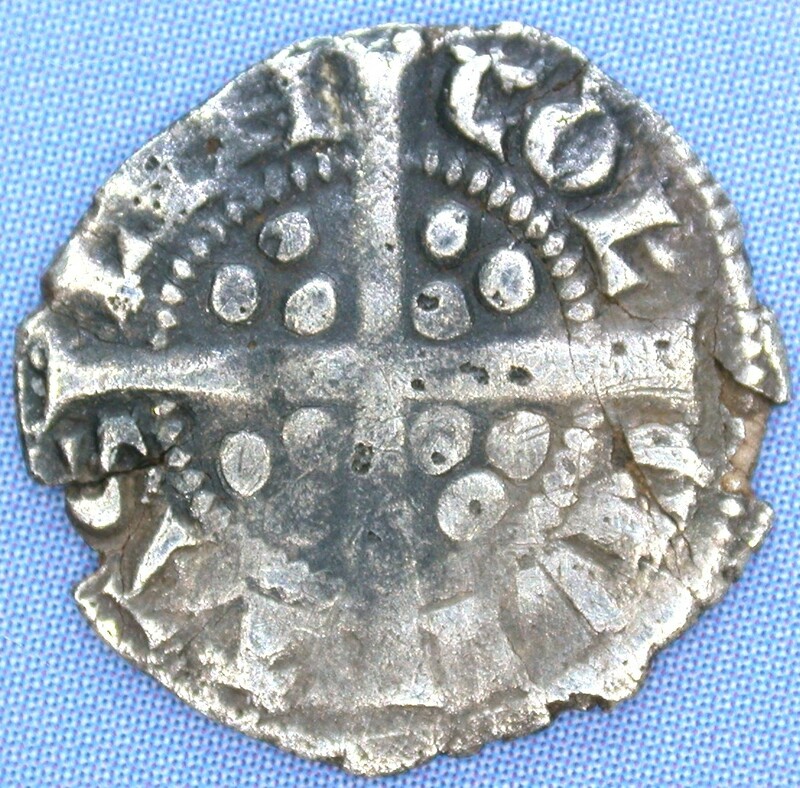 But, times have changed and good condition or extremely rare hammered silver farthings are fetching three to four figure sums at auction. Enter the modern forger. What should you be cautious about? Exceptionally clear (i.e. too good to be true). 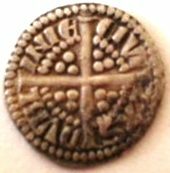 Most authentic hammered farthings have been buried for centuries. Hammered silver farthings will generally have thin edges - they have been hammered flat. Cast coins will have thicker blunt edges. The legends on the obverse and reverse don't match known legends. 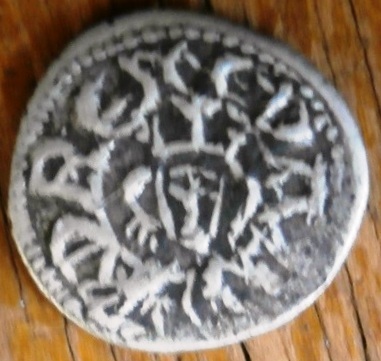 Look at authentic examples of similar coins (usually easily found online) to see if the workmanship is of similar quality. 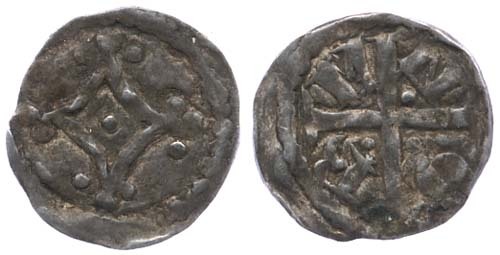 No two hammered farthings will be identical! 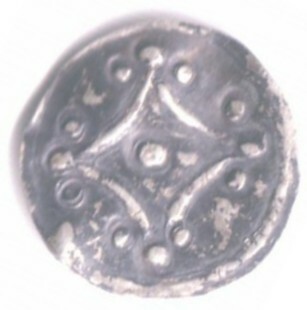 There were a limited number of dies used - but the shape of each coin, the orientation of the obverse to the reverse, and any off-centered striking, THESE ARE UNIQUE TO EACH COIN. There are several modern copies of farthings that have appeared on the market recently and these are being sold to unsuspecting collectors either at coin fairs or on-line. Even for a very experienced collector, it can be very difficult to spot a modern forgery. Copies/forgeries are added to this page as they are identified - so you might want to bookmark this page for easy reference. First spotted in 2006, these are quite sophisticated copies as the manufacturer has made some effort to chip bits off the edges to give the impression the coin was dug up from a field. What's odd is that the copy is of a really badly damaged example of a Lincoln farthing which, if genuine, would be worth no more than £30 in this condition. So the copy is not being made for vast profit, but simply to trick collectors. It is also worth noting is that this copy avoids all the easy ways to spot a forgery that were listed earlier. to crown, touching the cross in the legend. First spotted in 2005, these fakes are back on the market in 2008 - three of them are in the authors' collection. 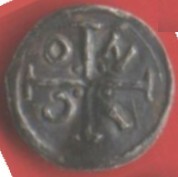 The reverse looks somewhat more authentic in style but it lacks certain manufacturing marks that would normally be visible on an authentic coin in this condition. Based on how unlike an authentic coin the obverse looks, I would guess that the manufacturer was not out to fool collectors. Possibly it was created as a copy to be sold in museum gift shops. First spotted in 2015, these are clearly copies, with blundered legends (particularly the reverse) and very crude/amateurish worksmanship. 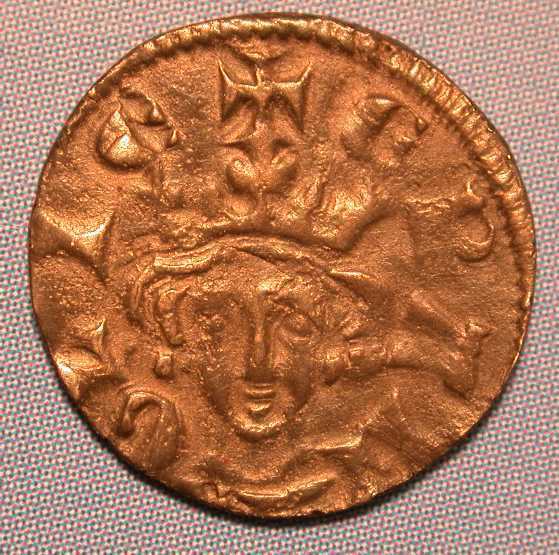 No authentic Edward III farthing has the king's head so crudely depicted. Sadly, even these copies can fool collectors - a copy was sold by an unscupulous seller as "from my father's collection" on eBay, and fetched around £50. Exceptional Clarity? No - Very crude copy. 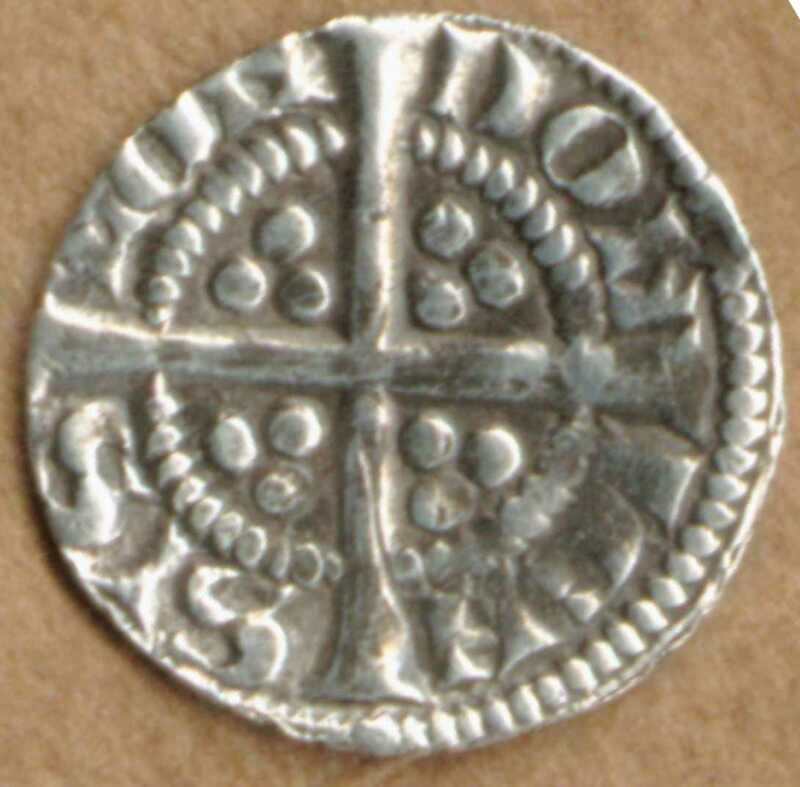 A well documented source of copied hammered silver coins were those produced by Trevor Ashmore. He was a precision engineer by profession, working in Nottingham and then later in Devon. In the late 60s he started to cut dies of rare coins as a hobby. They are not marked copy and are quite dangerous to collectors as they were often made from genuine old silver. 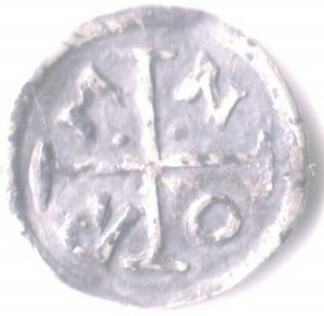 See the article, "Ashmore Replicas - Revisited," Spink Numismatic Circular 108 (April 2000), pp. 3-7, illus. See also Bulletin on Counterfeits Vol.20/2, 1995/96. 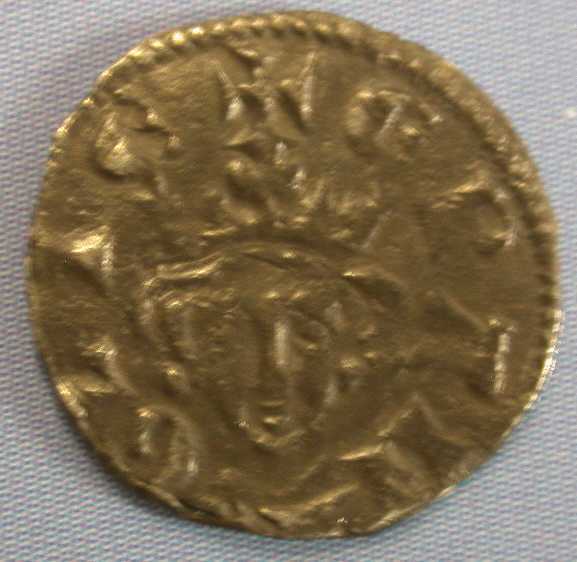 One type of coin produced by Ashmore was an Irish King John "Mascle" farthing of the moneyer "NORM" and another of the moneyer "NICO" (both shown below). 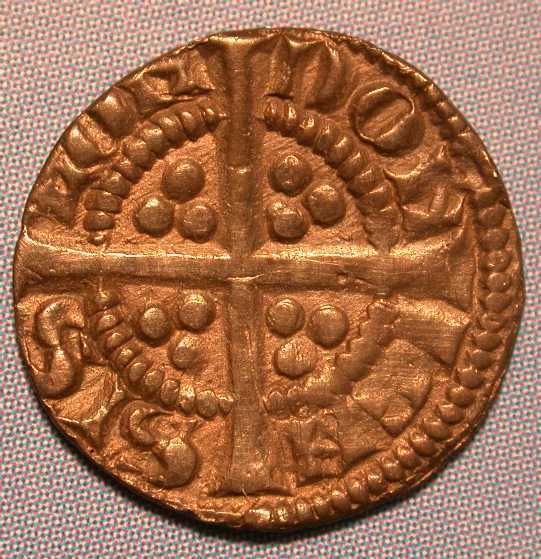 Example 1: John - "Mascle" farthing, Dublin: moneyer NORM. 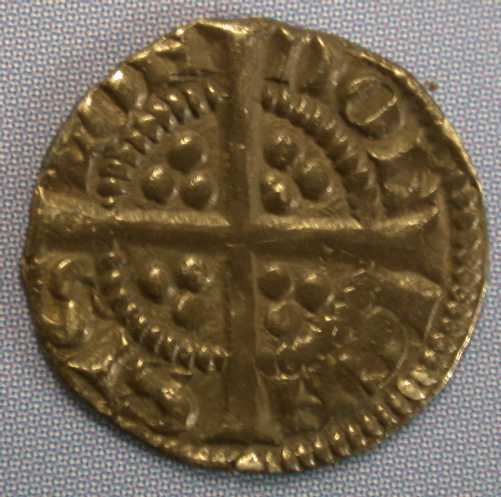 The following coin was produced by the well known coin copier, Trevor Ashmore. One easy way to identify his coins is by his use of thin lettering (top photo), as compared to the lettering on authentic coins (bottom photo). 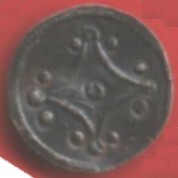 Obverse: Large Mascle with pellets at the end of each corner. 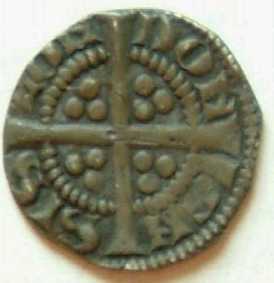 The following coin was produced by the well known coin copier, Trevor Ashmore. One easy way to identify his coins is by his use of thin lettering (top photo), as compared to the lettering on authentic coins. 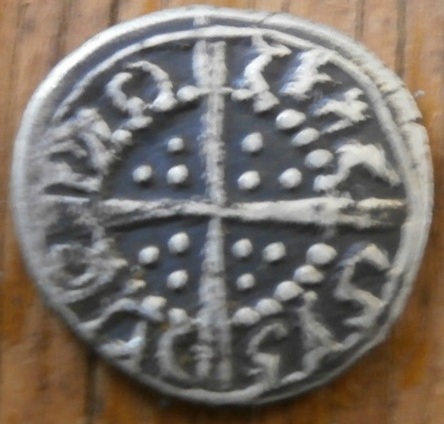 Do you think you have a fake Hammered Silver Farthing? Do you want to discuss this topic? Contact the discussion moderator. This article was featured in the July 2005 issue of the Counterfeit Coin Newsletter. Want to find out more about all sorts of Counterfeit Coins? Take a look at the Counterfeit Coin Newsletter.